Our 3-star Kyriad Avignon – Palais des papes welcomes you on Place de l'Horloge, between Maison Jean Vilar and the Théâtre, in the immediate proximity of the Palais des Papes and its International Convention Center. You will be in the historical and tourist heart of the city. 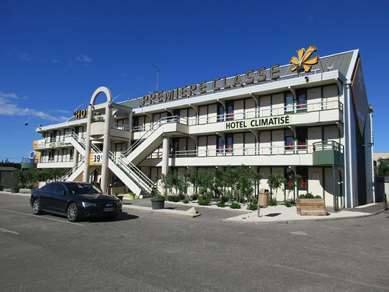 At 5 miles from the exits off highway A7, Avignon-Nord and Avignon-Sud, and 12 minutes on foot from the SNCF train station, and the regular shuttle between the city center and the TGV train station, our hotel is ideal for your business or pleasure trips to Avignon. From Cheval Passion to the must-see Festival d'Avignon, and the Provençal Christmas Market, the 38 comfortable rooms at Hotel Kyriad Avignon – Palais des papes allow you to immerse yourself in all the charms of the Papal city. Reception is open to welcome and inform you 24 hours a day. 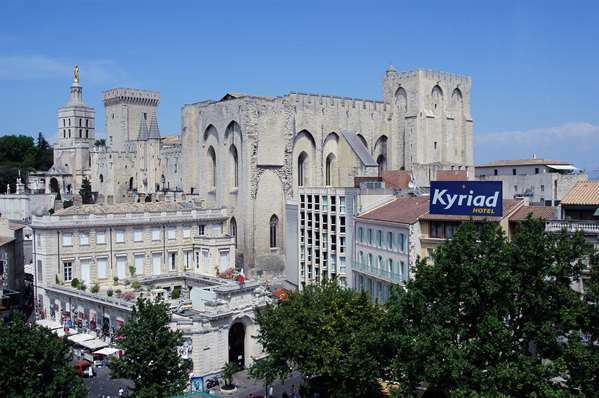 Hoitel Kyriad Avignon – Palais des papes offers 38 rooms for reservation. All our rooms are air conditioned. Double windows and premium bedding ensure full 3-star comfort. A courtesy tray (mineral water, tea, coffee and cookies) awaits you upon your arrival, ensuring a comfortable, warm stay. All rooms have a private bathroom with shower or bathtub, hair dryer, magnifying mirror, etc. 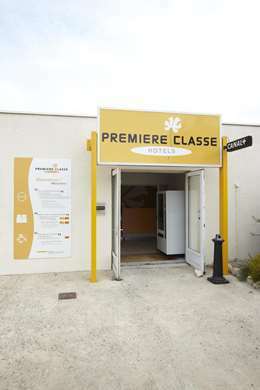 There is an LCD television so you can watch TNT and Canal+ channels, and a telephone with a direct line and free access to the hotel's Wi-Fi network so you can remain connected to the world. You also have a quiet desk where you can work. Start your day off right, take the time for breakfast at our all-you-can-eat breakfast buffet, served every morning at Hotel Kyriad Avignon – Palais des papes. 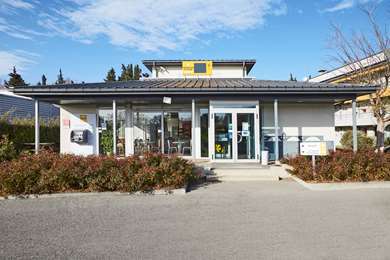 Unfortunately the high speed train station is not within walking distance of the Town Centre. You can catch a local train to the town centre and walk to the hotel for a fraction of the cost of a taxi. But is time consuming. The taxi ride gives a bit of a feeling of the modern area outside of the old town and of course the old town as you enter. The hotel is in the centre of everything, restaurants surround the entrance to the hotel and there is a wonderful carousel right outside. I love the carousels of Europe.This hotel has a lift so getting to the room was easy. The room was compact with a modern but compact bathroom.Fridge and kettle were great. Pity not all European hotels have them. Windows sound proof so we slept extremely well after days of exploring. Everything you needed to see was in walking distance and the hotel staff extremely helpful. Would stay here again. The hotel has a great location in the heart of historic Avignon; just a 100 metres or so from the magnificent Palais de Papes, Avignon's main tourist attraction. It is on the main square with all the usual over-priced and mediocre restaurants one expects in such prime locations (plain omelette 10 Euros; veggie burger 15 Euros). The main train station is about 10 minutes walk in a straight line through the centre of Avignon. I had a lovely quiet room at the back of the hotel on the fourth floor. It had a nice big window, which I opened for the natural sunlight and it had quintessential Provencal views of terracotta roof tiles and historic churches. The room had all the facilities that I require, such as a fridge, good air-conditioning and kettle with coffee, tea and butter biscuits. I thought this represented excellent value at this price point. I would happily recommend the hotel. The front desk sign classifies the hotel as 3 star and the commune street signs list it as a 2 star. Personally, I would say for British tourists that it is essentially a Bed and Breakfast rather than a hotel (though a cold continental breakfast is an additional 10 Euros! ), because it is basically just nice bedrooms without any of the usual hotel facilities such as restaurant, swimming pool etc. This is just a point of information, not a criticism. As personally, I rarely use hotel facilities, and select my hotels according to location and room quality. So, I was very pleased with my choice on this occasion. First of all I would like to thank you for choosing our hotel for your trip at Avignon and for taking the time to share your opinion. I'm glad that our establishment and the room assigned have totally tied in with your expectations. It's very important for us that our guests are satisfied with their room. As you say Mrs. Wales, the Hotel Kyriad Palais des Papes is located int he heart of the city with the Palais des Papes at only 30 seconds by walk. Unfortunately, The Kyriad Palais des Papes doesn't have a restaurant but we are located on a pedestrian square with a dozen restaurants and bars around us. But, our reception desk team always advise to our guests nice and delicious, not touristic, restaurants which are at only 5/7 minutes from our hotel. Our hotel also offers a 20% discount for our guests who park their car in the parking lot of the Pope's Palace. Mrs. Wales we accept criticism :) , it's not a problem for us, on the contrary we keep it in mind to improve / evolve. 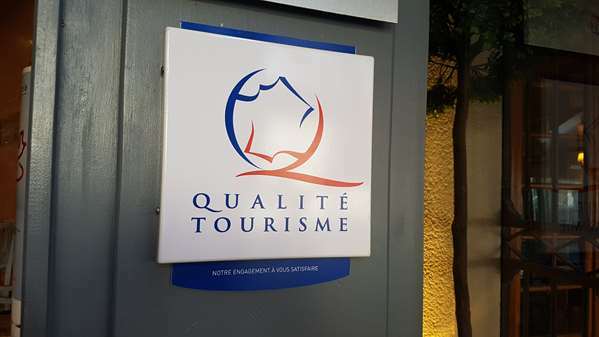 Compared to hotels located outside the city center, our hotel is the heart of the historical city of Avignon and was built in a 19th century building so it's impossible for us to have a swimming pool / spa / fitness room.